Yeah, so I actually missed the last day of the blog hop. Things came up, and I had everyone else’s posts scheduled, but never got around to mine. It’s been nearly two years ago that Grandpa passed. That was the worst time of my life. I had lost other people before, but it was always just a call and then a funeral. It was already over and done, no stress, just sadness. For Grandpa, we lived in the waiting room outside the ICU for a week, even though I think he was gone before we even got to the hospital. In a way, I wish they had just let him go. The worst part was that I was only just getting to know him. I’m not sure why I’d never bothered before. As a small child, I found him sort of intimidating. He didn’t talk much. He was a doer. We didn’t have much in common until I developed an interest in building things and in fixing the inevitable problems that cropped up with my Doom Jeep. He was unspeakably cool, and apparently always had been. As a teenager, he welded a machete onto a set of brass knuckles, just because he could. He built and raced cars, just like in Grease. We have pictures of him in his leather jacket with his slicked-back hair. He could fix anything. My mom’s first television spent most of its life with a pull-chain after the power switch broke. He even taught himself computers, when most of the rest of his generation was content to stare at them with thinly-veiled suspicion. He was especially fond of those goofy screamer emails that encourage you to watch the screen closely and then pop up with something gruesome and loud. I miss getting those from him. He had subscriptions to every possible e-card service, and we got dozens of them each year, at least five per holiday. I still Skype him sometimes. I want him back. I guess the tradeoff is that my guardian angel now has a machete welded to brass knuckles. I feel pretty safe. 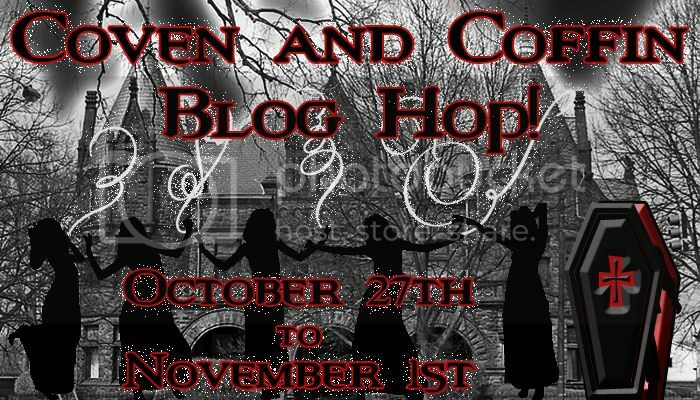 Tagged coven and coffin blog hop, dia de los muertos, remembering our loved ones. Bookmark the permalink.